Free Shipping Included! 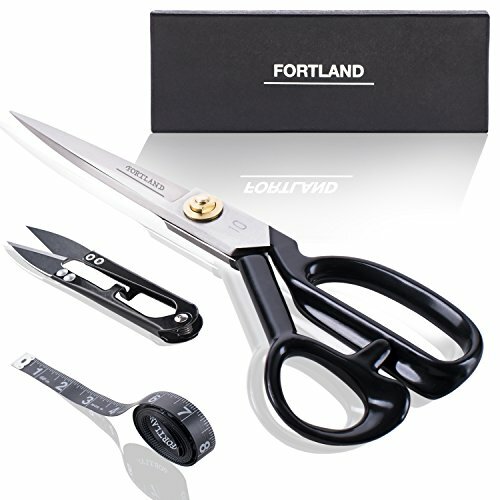 Tailor Scissors Stainless Steel 10Inch.Industrial Heavy Duty Sewing Shears for Fabric,Tailoring,Office,Crafting.Free Thread Snips+Measuring Tape.Professional RightHanded Cutting Tools for Multipurpose by Fortland at Transparent University. Hurry! Limited time offer. Offer valid only while supplies last. The Scissors ✂️ are the main tool when You want to make a perfect project. That's why we want to offer You a Very High Quality Scissors.